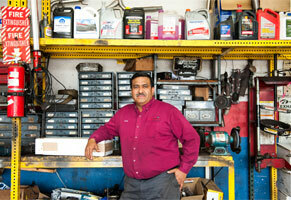 Tecnicentro Automotriz Inc Offers Auto Repair Services You Can Count On! 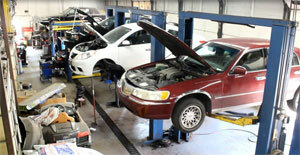 Tecnicentro Automotriz Inc is the automotive expert in Chicago, IL 60623. Since, 1996 we've provided the Chicago area with reliable, affordable automotive maintenance and repair services including 4x4 Services, Alignment, Brakes, Car & Truck Care, Domestic Cars & Trucks, Electrical Services, Electronic Services, Engine & Transmission, Engine Maintenance, General Services, Heating and Cooling Services, Import Cars & Trucks, Miscellaneous Services, Quick Lube Services, Towing, Transmission Services and Undercar Services. Call Tecnicentro Automotriz Inc today at 773-579-0118! You can also send us an email. Either way, we're looking forward to providing you with reliable automotive service! Honesty is key when looking to get mechanic job done in your car, this place has not only that but also very professional people working in there, I would recommend this place at 100 percent. A very professional and responsible place. Very honest and kind people. Very professional and responsible place. Very honest and kind people. I don't know what this previous comment is complaining/talking about. I brought my car there and yes the work was a bit expensive but they used quality parts with a 2 year warranty on parts and labor. Thank you again, Tecnicentro! Super friendly staff. If you need professional mechanics, this is the place to go. Although it can be pricy at times, they do give you an in-depth explanation of what parts are being bought and what is being done to the car. If you're from Chicago I really recommend this place for your vehicle's the owner's are very nice nice the service is great. Tecnicentro has met all my automotive needs, with the work always being done promptly. Vicente, his wife Yolanda, and their workers are kind and helpful. Yolanda in particular shows concern and care towards me. Vicente has shown me understanding with regard to my payment to him, among other things. They run an honorable business. They did an incredible job on my 2001 Honda Accord at an extremely reasonable price. The service is completely awesome!! Vicente & Yolanda are bi-lingual so if you do not speak Spanish, no worries. Very honest & great work. If you go to a dealership on a regular basis take your car in, have him look over the car to truly find out what services you really need, & what it will cost you will see a huge difference in the price. Probably the best auto shop in Chicago and I'm gonna tell you why: Because the owners are so reliable, so honest... Something difficult to find in a mechanic worldwide. They will always be sincere with you. Very reasonable prices. Certainly, every penny you spend is gonna be worth it. So satisfied! Excellent service, and fast. Better than dealership service. The owner is a very nice and honest person/mechanic. Will always be taking my cars there in the future. Thank you! Best mechanic in the world great customer service love my mom and pop shops. They are the best! Honest, knowledgeable, professional and very high ethical standards. Don’t waste valuable time also your money taking your car somewhere else. Great customer service!! I have been a customer for about 6 years now. Never have encountered a more trustworthy, ethical and professional business than this one. Very honest professionals! Thier repair comes with a great warranty on their parts and labor. We don't trust anyone else with our car needs! Recommended. If you are a woman they explain the real issue in details and give you suggestions for the problem. Mr Vicente goes above and beyond. He fixed my car to pass the emission test and took it himself to the emission test. I give this place five stars! Thank you Mr. Torres and family for the care and warmth professionalism of people is hard to find nowadays that Thanks in advance and I hope to see you soon Thanks for another service.